WSI, the world’s largest Internet marketing company, announces it has renewed its partnership with Comfort Control in Dripping Springs, Texas. 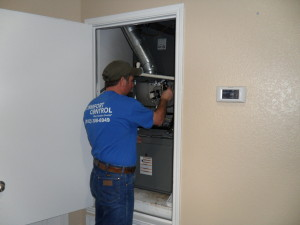 Comfort Control is one of the Austin area’s leading HVAC and Electrical Contractor companies serving both residential and commercial customers with high quality HVAC repair and electrical services. As a means of increasing their new lead flow, Comfort Control engaged WSI to optimize their web site for 5 primary keywords. WSI redesigned and launched a new website for that was Responsive (mobile friendly), and included a local SEO strategy to improve their site visibility and overall web presence in their local market. We continue to expect Comfort Control to have a steady flow of new leads from searchers looking for a top-notch HVAC service company.